Steinway Artist Natsuki Fukasawa's music career has taken her throughout U.S. cities as well as to Europe, Scandinavia, Israel, Australia, Brazil, Japan and China, performing at such venues as Carnegie Hall, Kennedy Center and Copenhagen’s Tivoli Concert Hall. Fukasawa has won many accolades and international prizes, including rave reviews in Strad and Fanfare magazines and the Best Chamber Music Recording of the Year from the Danish Music Awards. In 2012, Ms. Fukasawa was added to the distinguished roster of International Steinway Artists. Ms. Fukasawa’s performance highlights include a tour of Italy performing Gershwin's Concerto in F as well as performances of Beethoven's Third and Fourth Piano Concerti, Chopin Second Piano Concerto, Dohnanyi's Variations on a Nursery Song, Mozart's A Major Concerto, K. 488, and Rachmaninoff's Second Piano Concerto with orchestras in California. She is the pianist for the soundtrack of recently released film We Had To Go – Remembering Internment, and three compact discs, including a live solo CD, Year in Prague, one with violinist Igor Veligan titled Voices from Easter Europe and another with bassoonist Scott Pool titled Vocalise were released in 2013. During this current season, she will be appearing in concerts and master classes in Hong Kong, Japan, Switzerland, the U.S., and in performances of Brahms' Piano Concerto No. 1 in Northern California. Ms. Fukasawa serves on the artist faculty of the Talis Festival & Academy in Saas-Fee, Switzerland and the Orfeo Music Festival in the Italian Alps. She has taught at California State University Sacramento, Saint Mary's College of Moraga, and the University of the Pacific. She also enjoys nurturing young talents in her own private studio, where her students are winners of state, national and international competitions including the invitation to appear in the NPR show From the Top, and go on to pursue music in college, to such places as the Manhattan School of Music and the Brigham Young University. She began studying piano early with her mother Takako Fukasawa and her main teachers were Fumiko Ishikawa, Mark Richman, Martin Canin, Jan Panenka, Anne Koscielny. She studied chamber music intensively as the member of Jalina Trio with Ferenc Rados in Budapest, and violist Tim Frederiksen in Copenhangen. She studied at the Czech Republic's Prague Academy of Music as a Fulbright Scholarship recipient and received a Performer’s Certificate Degree. She also earned her degrees from New York's Juilliard School and University of Maryland. 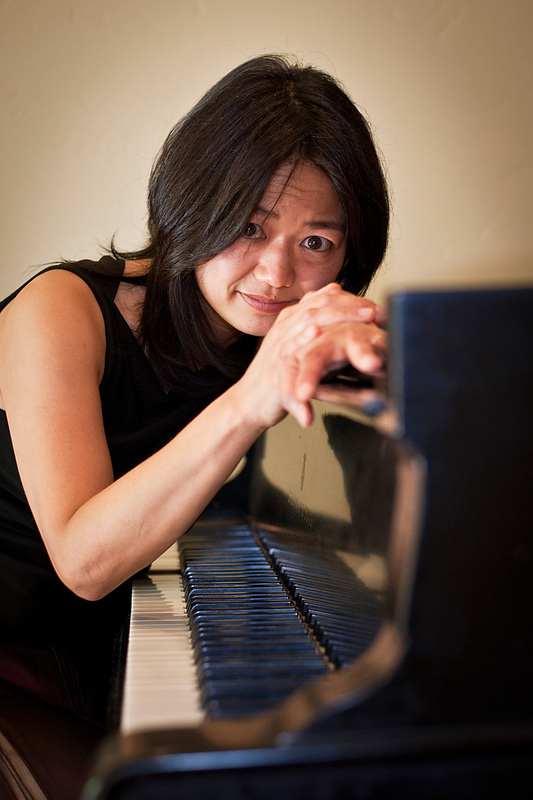 Ms. Fukasawa has recorded for the Classico and Da Capo labels and her career is noted in the World of Women in Classical Music and Who's Who in America.